Let me be your Real Estate Specialist. I am a licensed agent excited to work with you and help you find the perfect home or the perfect buyer for your home! CALL ME! Let's get started on our way to Success!! Being a native of Winona and a very active member in the community, I have a lot of connections, providing me insight and knowledge of the families in the Winona market that are in different stages of life; newlyweds, growing families, empty-nesters, retirement age. I have an extensive list of contractors who can help get your home ready to sell or update after you buy. I can help you find the perfect lender based on your financial situation. 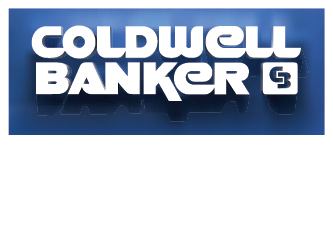 As a member of Coldwell Banker River Valley, REALTORS, I have access to the best in technology and over 80 real estate agents, in 6 offices spanning across the region. I am a proud mom of two beautiful little girls; 11 and 9. I graduated from Saint Marys of Notre Dame with a BA in History. Since graduation, I've worked in corporate marketing, building management, retail and of course my current ‘job’ of a real estate agent. I enjoy spending time with my family, reading, fundraising, volunteering, decorating, dart and golf leagues, acting and singing. Recipient of ‘Community Builder Award’ from Home & Community Options.